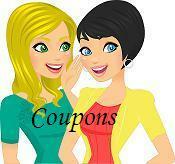 Sunday Coupon Insert Preview 1/26/14 – 4 Inserts and $0.86 Chicago Tribune! * If you are purchasing your newspapers at Menards this week, print out this coupon for a bag to save an additional 14% off each paper that you purchase that fits in the bag. Each newspaper will only be $0.86 each!